BEST INDIE BOOKS FOR 2013, INDIEREADER GOLD MEDAL WINNER, 2012 READERS' FAVORITE BOOK AWARDS GOLD MEDAL WINNER, 2013 READER VIEWS LITERARY AWARDS Mace Evans is single at thirty-eight. When her much unloved older sister, Shannon, declares that Mace is anti-social, she embarks on a journey to understand her condition; whether she was born that way or if it is the accumulation of thirty-eight years of unfortunate encounters with other humans and dogs. For reasons unbeknown to Mace, she has an affair with a work colleague, which brings an unexpected end to her perfect marriage. And as if the self-imposed torture and regret is not enough, Mace endures ongoing judgment from her older sister and mother, which further exacerbates already tenuous relationships. 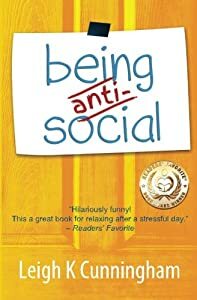 With support from her four best friends, merlot and pizza, and with guidance from her life coach and mentor, Oscar Wilde, Mace recovers to a degree, but in her quest to understand her anti-social ways, she finds herself wondering about the quality of the fabric that keeps her network of friends intact. When Mace's mother is diagnosed with cancer, Mace searches for common ground on which to connect before it is too late. When millionaire HARRY TRUMBOLL turns up dead in the glitzy city of LA--all are sure it was from natural causes. But things begin to get hazy when his wife FRANNIE winds up with a dead body in her arms, revealing HARRY was murdered too! 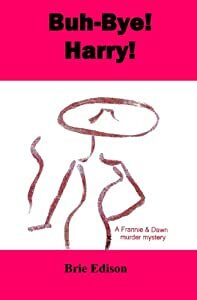 Bribing HARRY'S secretary into helping her ferret out the murderer, the two sleuths find themselves planets apart; FRANNIE flamboyant and flighty uses wild imagination and useless intuitive flashes to do her snooping, while DAWN mousy and meticulous swears that sound, intelligent reasoning is the only way to catch a murderer, but for all her talk DAWN gets emotionally distracted along the way by a hunky cop named ZAK. Nothing is what it seems as the two partners uncover clues on their zany adventure, discovering each mourner at HARRY'S funeral had a reason to wish him dead. A trusting friendship blossoms between FRANNE and DAWN as they find themselves out on the skinny branches of life, forcing them to come face-to-face with a cold-blooded killer! Where do you go when you disappear? For young heiress Mary Fait, the answer is New Orleans. After the death of her parents, she is placed in the care of her alcoholic uncle. For years, she assists her uncle in growing the family empire, all the while plotting his demise and / or her escape. A college scholarship gives her the opportunity to break free of her life to start a new one - under a new name. Follow Mary and her often hilarious misadventures in the early 1990's while attending college in a small town in Louisiana. The story reads as a series of diary entries which chronicle the thoughts, feelings, and experiences of the main character during this time in her life. The novel's title refers to a cajun restaurant in which the main character works as a waitress. 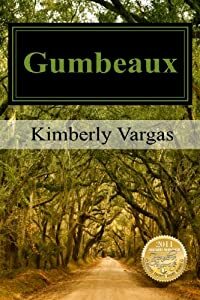 The colorful descriptions of the town of Bayou Bend, the college, its inhabitants and the surrounding areas paint a vivid and amusing tale of life in the South. 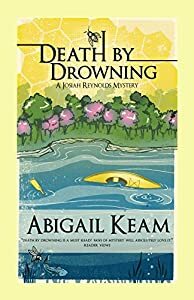 In the second novel of the series, Death by Drowning, Josiah survives a forty-foot fall off a cliff only to discover that her nightmare is not over. Josiah puts the past behind her but it reaches out, threatening to pull her off the cliff again. Matt, her best friend, and Jake, her physical therapist, stand between Josiah and harm. Even they can't keep danger at bay. Once again, Josiah makes the rounds of quirky characters found in the lush Bluegrass horse world of Thoroughbreds, oak-cured bourbon, and antebellum mansions. 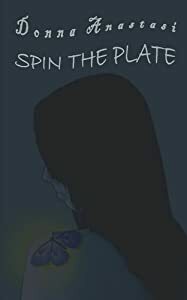 "Spin the Plate" is a heroic story of one woman's emotional, spiritual, legal, and ultimately romantic journey as she fights to heal the wounds of familial sexual abuse. Jo is a survivor of a bleak and abusive childhood. She channels her pain and rage into weight training and roams the streets of Boston at night as a powerful vigilante. While she is more than capable of defending herself against physical danger, she is defenseless against the memories of the past that torment her. Francis is a mysterious man she meets on the subway train. An average-guy hero, he battles to win the battered heart of a tough, wary, less-than-perfect heroine. "A fast-paced, edgy, darkly comic tale of resilience, romance, and redemption that breaks over you in waves. All you can do is gasp, stay afloat, and enjoy the ride." -- Holly Robinson, author of Haven Lake The novel has won awards for Contemporary Romance, Cross Genre Fiction and Women's Literature. A feature-length film based on the novel is in post-production. Abby needs some magic in her life, along with a white knight, respectful children, and an exciting career plan. Instead she is drowning in unfulfilled expectations, disappointments, and unmet needs. 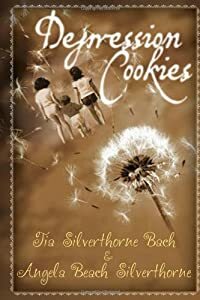 What she doesn't expect is to find the true essence of magic in the strength, friendship, power, and energy of the female spirit found in her mother and her mother's zany group of friends. Krista cannot believe it's happening again. Her father waltzes in and announces another move. And what does her mother do? Nothing. Don't they realize she's almost thirteen, and this could mean the end of her life? In the midst of teenage melodrama, she is determined to survive a new school, defeat the annoyances of two scene-stealing sisters, and deal with out-of-touch parents. Yet she quickly realizes the double-edged sword of growing up. Josiah Reynolds, a former art history professor, was once a celebrity with wealth, social position, and a famous husband. Now all of that is gone. The professor finds her circumstances drastically altered. Josiah is now a full time beekeeper trying to stay financially afloat by selling honey at the local Farmers Market. 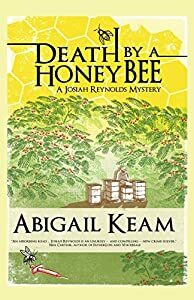 She finds her world turned upside down when a man is found dead in her bee yard, only to discover the victim is her competitor and nemesis. The police suspect the brutal death is murder, and Josiah is their number one suspect. She is determined to find out who is trying to frame her, along with her assistant, Matt, who is twenty years her junior and gay, and her lawyer, Shaneika, a African-American woman, rumored to be a descendant of a historically prominent Lexington family. Josiah's powerful but secretive daughter pops in and out of her mother s life, pulling strings to protect her mother from danger. Set in the beautiful horse country of the Bluegrass, Josiah makes the rounds of quirky characters that can only be found in Kentucky. Fighting an unseen enemy in the glamorous world of Thoroughbreds, oak-cured bourbon, and antebellum plantation houses, Josiah struggles to uncover the truth in a city that keeps its secrets well.